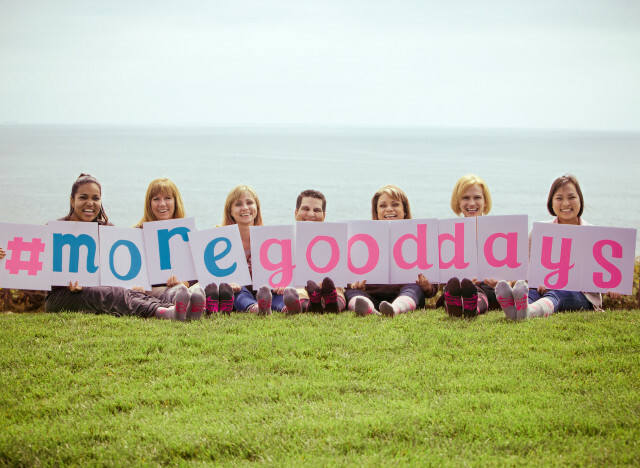 The Good Day Project wants to make the everyday lives of breast cancer patients just a little bit better. Warriors In Pink, a Ford Motor Company program dedicated to fundraising and spreading awareness about breast cancer, is partnering with Meal Train and Lyft to create The Good Day Project. Through the partnership with Meal Train, users will be able to access a premium service in order to co-ordinate meal deliveries, childcare services and other daily errands for loved ones undergoing breast cancer treatment. And, starting in June, breast cancer patients will be able to use a free ride-sharing service provided by Lyft to help them travel to and from treatment centers in 17 different cities. “Reliable transportation to and from treatment is a common challenge for patients,” Kira Wampler, the chief marketing officer of Lyft, said in a press release. “We are honored to be partnering with Ford Warriors in Pink to bring a dependable option to the many women seeking treatment this year." 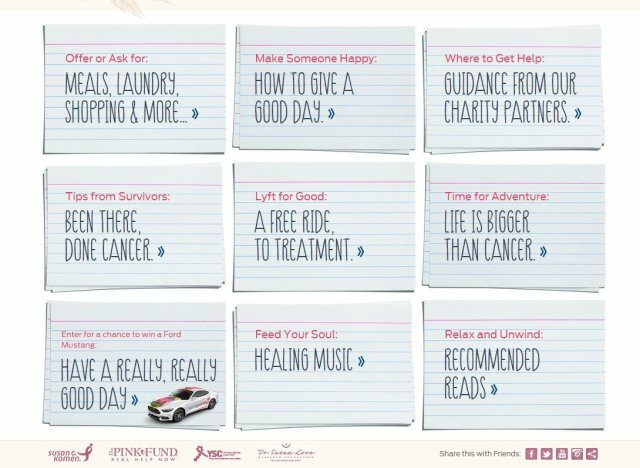 People interested in helping will be able to donate rides, offer meals and laundry to people in need, and learn about other ways to support breast cancer patients through the Good Day Project website.